This isn’t the first time we’ve seen content providers trying to avoid sharing profits with Apple. In fact, just yesterday we told you about the new Kindle Cloud Reader app that is accessible via the web, much the same as Vudu. While not sharing revenue is an obvious benefit of bypassing the App Store, TechCrunch points out there are many other advantages as well. 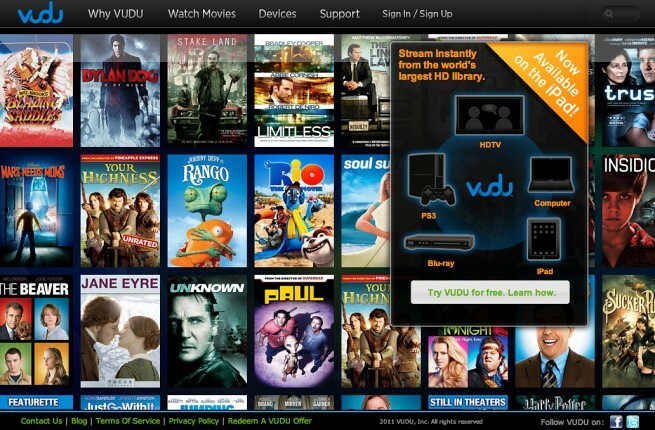 For instance, by avoiding the App Store’s restrictions, Vudu will be able to push out new updates whenever they see fit, rather than having to wait for Apple’s approval. It seems like more and more developers have been pushed away from the traditional iOS app model due to stringent approval policies and the unpredictability of Apple’s ever-changing process. The real question is.. do these web apps compare to the experience offered by native apps? iPhone 5 rumors turned into a video clip!